Heat a pan over medium-high heat and add butter. When foaming subsides, add flour and cook, whisking constantly, until flour is light brown, about 30 seconds. Slowly whisk in broth. 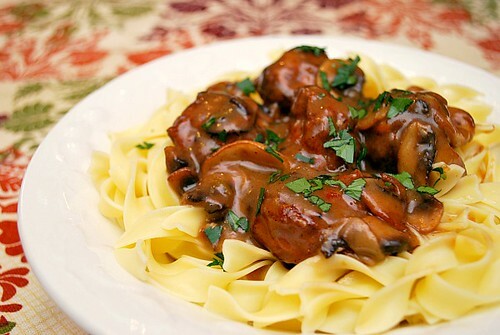 Add brown sugar and caramelized mushrooms and bring to simmer. Reduce heat to medium and cook until sauce is reduced to about 1 cup, about 5 minutes. Stir in cream (if using) and return to simmer. That is a gorgeous look plate of Swedish meatballs! The first time I ever had these was when I was about 9 years old. My dad's Swedish colleague came to visit us in Indiana and brought his family. They made us Swedish meatballs as a special treat one night. I was hooked! I remember when we got the chance to visit them in Sweden many years later I made a special request for them :D I like the addition of caramelized mushrooms. Brilliant! I used to LOVE the Swedish meatballs at IKEA. Your homemade version looks infinitely better :). 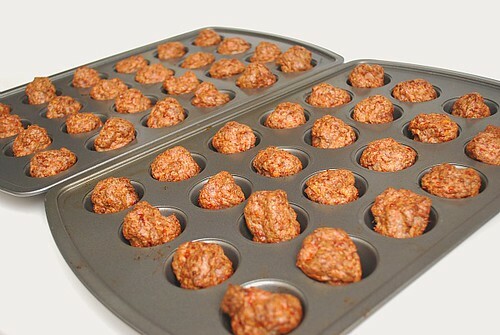 I love your tip on baking the meatballs in muffin tins - genius! Well, consider IKEA forgotten by me - these look incomparable! And dont forget to serve with lingonberries and pickles! Thanks for another wonderful recipe, Joelen! 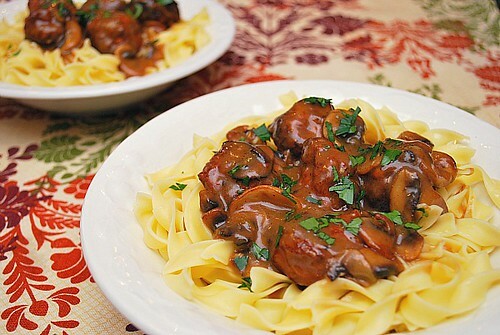 These Swedish Meatballs were SO flavorful and comforting!